A few weeks from now, Netflix’s House of Cards turns five. Pop culture’s immediate embrace of the show — the 2013 White House Correspondents’ Dinner opened with a spoof less than three months after its premiere — was a watershed, signaling the streaming network’s arrival as an original-programming force. It also hinted at an even larger sea change about to hit the small screen, a tidal wave of transformation which this year became impossible to ignore. Netflix doubled its output of originals, getting particularly serious about big-budget feature films and superstar stand-up specials. CBS boldly made spinoffs of Star Trek and The Good Wife available only on its streaming service, All Access. Amazon landed partial NFL rights (and three Oscars). Hulu became the first online network to snag a best series Emmy with The Handmaid’s Tale. Taken together, these milestones make the case for 2017 as the year streaming experienced a leap forward that cemented its status as the platform of the future. Any discussion about the state of the streaming universe must — as has been the case since 2013 — begin with Netflix. Even as its rivals made substantial and very important strides, Netflix this year not only maintained but arguably expanded its dominance of the space. It hasn’t released exact and final numbers yet, but the company has told shareholders it would offer an eye-numbing 1,000 hours of first-run content in 2017, up from 600 hours in 2016. It’s the sort of volume that allowed Netflix to release something significant (a series, a big-name comedy special, a feature film) every single week this year and to move beyond premiering big shows only on Fridays. Netflix has been a major entertainment source since at least 2015, but this year felt like something of a tipping point. Netflix’s big-tent, saturation strategy — give almost everybody something they’ll want to watch — helped smooth over a couple of significant speed bumps. A number of big TV studios opted not to renew licensing deals with Netflix this year, resulting in staples such as 30 Rock and How I Met Your Mother disappearing from the service. And in October, Netflix bumped up the monthly fee for most subscription plans. It’s too soon to say whether these developments will slow subscriber growth, but the relatively tame social-media response to both suggests the streamer won’t suffer too much. Releasing a significant new bit of original programming every few days makes it harder to gripe about a 15-year-old sitcom going away, or shelling out an extra $12 per year. Similarly, the content tsunami partially obscured the fact that 2017 also saw the death of the illusion that Netflix was some sort of TV utopia, where none of the normal rules of the medium applied. The streamer canceled more shows this year than ever before, and more glaringly, it whacked a couple in their cradle. Naomi Watts’s Gypsy, Sophia Amoruso’s Girlboss, and Baz Luhrmann’s The Get Down all got the ax after just one season, while Sense8, Haters Back Off, and Marco Polo will disappear after just two. Sure, Netflix still launched and renewed far more shows than it ended, but some of the cancellations dinged the service’s brand just a bit, both with subscribers and showrunners. The Sense8 fandom dragged Netflix for weeks after the show’s cancellation was announced, resulting in the streamer agreeing to produce a two-hour finale special. And the speed with which Netflix walked away from Gypsy had Hollywood types very loudly whispering that the move might cause some talent to pause before setting up shop at the streamer. As one agent told us, it’s one thing for a film actor at Watts’s level to sign up for a TV show that lasts several seasons and snags all sorts of accolades. Doing a series that comes and goes within a few months, with very little effort by Netflix to build an audience for it, could do short-term damage to Watts’s career (or at least her quote). Despite these hiccups, Netflix will likely end 2017 having added nearly 10 million subscribers in the U.S. alone, pushing its global paid subscriber base well over 110 million (versus 94 million at the start of the year). Its continued growth is all the more impressive when you consider, as noted earlier, its streaming rivals also did very well this year — at least in terms of burnishing their brands. The best performance by a streamer not named Netflix was from Hulu, which in 2017 finally established itself as a legit player in original programming thanks to The Handmaid’s Tale. The meme-generating, critically loved drama established Hulu’s programming bona fides much the way House of Cards and Transparent did for Netflix and Amazon Prime Video years earlier. Handmaid’s was also the first internet-distributed show to win an Emmy for best comedy or drama, a milestone that had somehow eluded Netflix and Amazon despite their spending hundreds of millions more on content. Hulu already had brand awareness among consumers — it was streaming before streaming was cool — but it had mostly been known as the place where you watched recent episodes of broadcast network shows. 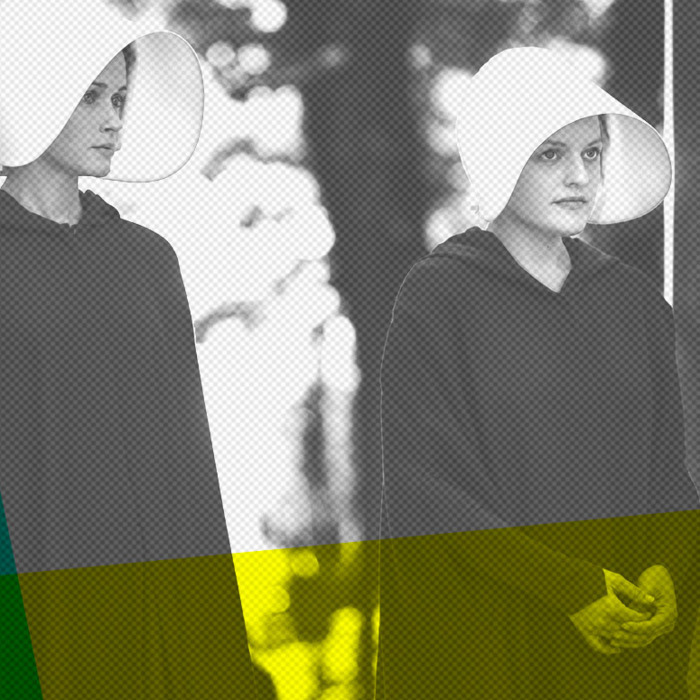 This year, Hulu became a service you subscribed to for originals — and not just Handmaid’s. Fall arrivals Future Man and Marvel’s Runaways also got solid reviews and strong buzz, while Sarah Silverman’s I Love You, America gave Hulu its answer to John Oliver and Samantha Bee. Not all was rosy in the streaming world in 2017. Netflix came to terms with the reality that not everything it invested millions in would click with viewers, while also dealing with major crises involving the stars of House of Cards (Kevin Spacey) and The Ranch (Danny Masterson). Meanwhile, Amazon Prime Video too often found itself making headlines for all the wrong reasons. Most of its top management exited following sexual-harassment charges against former content chief Roy Price. The future of signature drama Transparent has been left in doubt due to harassment allegations against star Jeffrey Tambor. And while Netflix handled most of its cancellations with grace, Amazon’s axings were far messier. The streamer killed its Christina Ricci show Z: The Beginning of Everything a few months after it ordered a second season of the drama, then pulled the plug on The Last Tycoon shortly after that show’s premiere. The chaos surrounding the cancellations and exec changes were accompanied by reports that Amazon chief Jeff Bezos was unhappy with the streamer’s creative direction and wanted his platform to find its version of Game of Thrones. While all this drama didn’t help Amazon in the short term, other developments in 2017 underscored that Bezos and his company are very much committed to remaining a streaming player. As embarrassing as the cancellations were, they weren’t about cutting back on programming, but rather on reallocating resources to different kinds of bets. Indeed, the company followed its late-summer show killings with the November news it was sinking a reported $250 million to turn The Lord of the Rings saga into a TV franchise. What’s more, Amazon this fall also began simulcasting Thursday NFL games, spending an estimated $50 million for those rights. Both investments suggest Bezos is hardly ready to give up the fight. And even with all the bad press Prime Video got in 2017, the streamer still managed creative victories. While the team that developed The Marvelous Mrs. Maisel is now gone, the recently premiered Amy Sherman-Palladino dramedy is getting great reviews and last week snagged two Golden Globe nominations. Amazon’s feature business also had a banner year, with Oscar wins for 2016’s Manchester by the Sea and sleeper success for summer release The Big Sick. Unlike Netflix, Amazon doesn’t put its films on Amazon Prime the same day they’re in theaters, but these features do end up there just a few months later, boosting the overall appeal of the streaming service. It’s also worth noting the performance this year of HBO and Showtime, networks that now have feet planted firmly in both the linear and digital spaces. Strictly speaking, they’re not streamers since most of their subscribers come via cable and satellite. But their business model is essentially the same as Netflix or Hulu: Audiences pay a separate and substantial fee — upwards of $15 per month — to access programming. Media research group Kagan estimated earlier this year that at least 4 million people subscribed to HBO directly (through the HBO Now app or a digital provider like Sling). Two years ago, that number was zero; two years from now, it could easily be double. Showtime isn’t nearly as big, though its direct-to-consumer streaming service had 1.5 million subscribers at the start of 2017 (a number which no doubt grew over the course of the year). The surge in both network’s digital subscriptions was no doubt helped by strong programming in 2017. HBO had one of the year’s biggest TV events with Big Little Lies, and it used the penultimate season of Game of Thrones to boost the audience for Insecure, a series that would be right at home on Netflix. Similarly, while Twin Peaks: The Return was a dud on the Showtime linear channel, its launch produced the largest-ever single day of signups for the Showtime stand-alone service. Rapturous reviews for the finished product will also allow Twin Peaks to remain an asset on streaming for years to come. Elsewhere across the streaming universe, 2017 saw traditional media companies continue their push into the nonlinear future. Disney’s plan to purchase Rupert Murdoch’s Fox assets, including his stake in Hulu, is widely seen as a way of letting the Mouse House bulk up on premium content (The Simpsons, the X-Men, American Horror Story) as it prepares to launch its answer to Netflix in 2019. Comcast’s NBCUniversal did shut down its fledgling comedy-focused streamer Seeso earlier this year, but even that move can be interpreted as a signal the company is readying a bigger, more wide-appeal streamer like the one planned by Disney. Cable networks such as AMC and FX launched premium spinoff services that, while still tied to cable bundles, offer consumers the opportunity to watch shows such as The Walking Dead or American Horror Story in a streaming-like environment. And superstar showrunners long tied to the broadcast and cable TV world also continued their exodus to streaming in 2017: Shonda Rhimes left Disney’s ABC for a massive new deal at Netflix, while Ryan Murphy made his first-ever streaming deal in September, agreeing to do at least two seasons of Ratched for Netflix. And then there was CBS: Often dismissed as the most old-school of media companies, it actually pushed even further ahead of its bigger, traditional-media peers this year in the transition to streaming. With The Good Fight and Star Trek: Discovery, the Eye passed up the chance to launch what would have likely been very successful broadcast shows in order to lure subscribers to its All Access service. There’s no hard data yet to prove whether the strategy has paid off in terms of subscriber growth, and Trek fans in particular have been vocal in whining about having to pay to see the latest chapter in their beloved franchise. But it was as good a sign as any of streaming’s importance when a company as old-school as CBS decides to eschew the easy upfront money it might have made by putting those shows on the linear network. Even the home of NCIS and 60 Minutes knows where television is headed.